The strong, long-term relationships Member Firms maintain with clients, and the deep partnerships M Financial has with a select group of Carriers, allow us to deliver product and service differentiation to Member Firms. With a credible experience pool that clearly reflects the unique mortality, persistency, premium volume, and high average face amounts of ultra-affluent clients, M Financial is in the position to work with our Partner Carriers to develop proprietary products priced for the clients of Member Firms. M Financial, together with Carriers, continuously monitors the service, experience, and performance of inforce business to help ensure that proprietary products continue to be effective. As a result of this dedicated level of oversight, pricing enhancements, supported by experience data, have historically been applied to both new sales and inforce business, a principle that is rare in the industry. 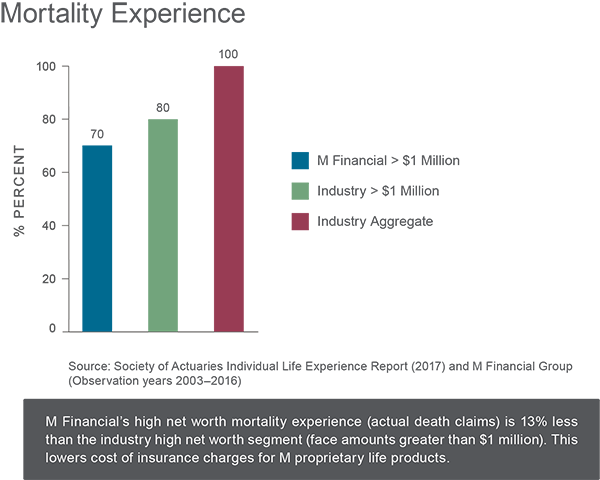 M Financial’s collective buying power and improved experience (mortality, persistency, and policy size) result in exclusive pricing for proprietary products available to Member Firm clients. 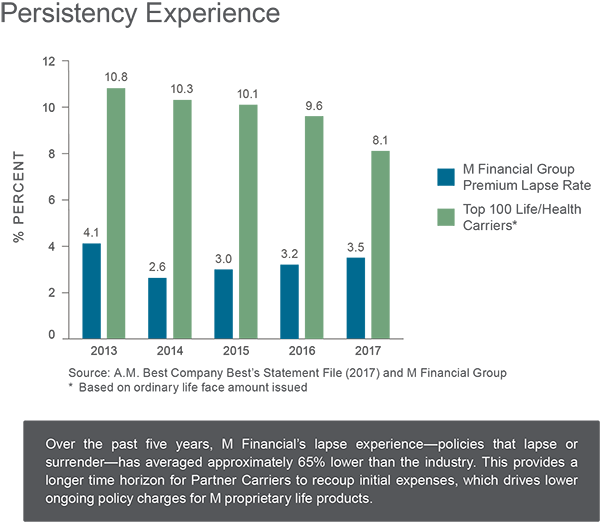 Proprietary products continue to be an essential part of M Financial’s success. 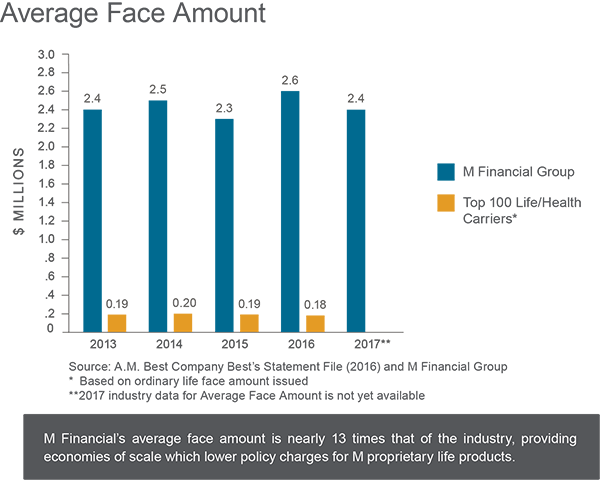 Since the first M proprietary product was introduced in 1996, M Financial’s sales have grown at a compound annual rate of 11%. Overall, M Member Firms have more than $140 billion of face value in-force and manage client assets totaling more than $38 billion. This site is not intended as an offer to sell securities, which may be done only after proper delivery of a prospectus and a client suitability review. Proper state registration is mandatory prior to conducting business in any state. Securities offered through M Holdings Securities, Inc., a registered broker dealer member FINRA / SIPC. Clary Executive Benefits, LLC is owned and operated independently from M Holdings Securities, Inc. Clary Executive Benefits, LLC is a member of M Financial Group. Please click here for further details regarding this relationship. Check the background of this Firm and/or investment professional on FINRA's BrokerCheck.